There's no better way to include the winter season and nature in your home decor than with this Woodland Friends Welcome MatMates Doormat. The beautiful image and colors were created with a dye sublimation process that gives the finished surface fade and stain resistance. 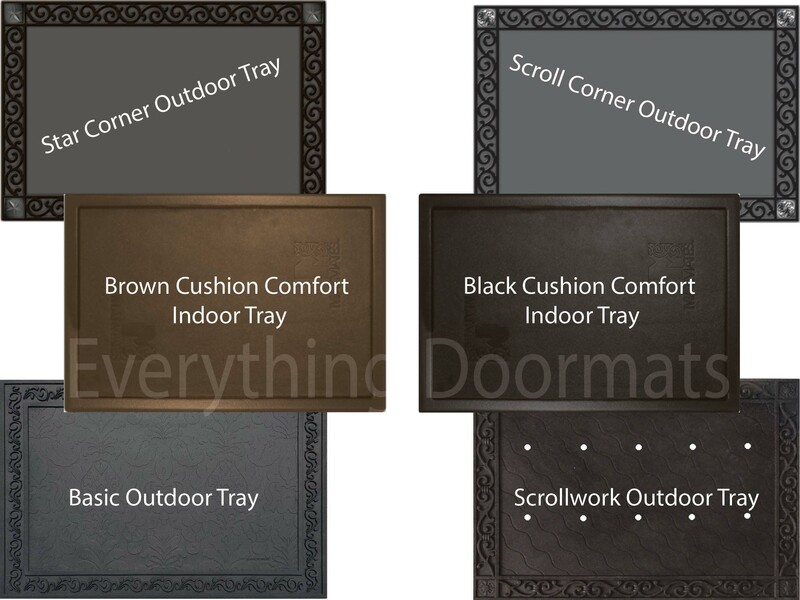 You can pair your mat with our unique and indoor tray or our outdoor tray for additional decor or comfort. Display your mat in the bathroom, by the fireplace, at the front door, or almost anywhere else. Note: The Woodland Friends Floor Mat is pictured in our Scroll Corner Outdoor Tray. The outdoor trays and cushion comfort trays are sold separately.